JACKSON HOLE, Wyo., Aug. 1, 2017 /PRNewswire/ — On August 21 at 11:35am Jackson Hole, Wyoming will be directly under the totality of the solar eclipse for 2 minutes, 20 seconds, with the partial eclipse lasting for over 2-1/2 hours. The eclipse’s centerline path of totality will pass directly over the airport itself. Private jet traffic surrounding the Aug. 21 date however, will be far from eclipsed. Aircraft parking at Jackson Hole Aviation, the local FBO/private terminal, is expected to jump to near capacity with ramp space possibly filled and the potential of aircraft being turned away. Depending on the volume of air traffic into Jackson Hole, the FAA may implement Special Traffic Management Programs (STMP) for private aircraft, where advance reservations known as “slots”, are needed for arrivals or departures. 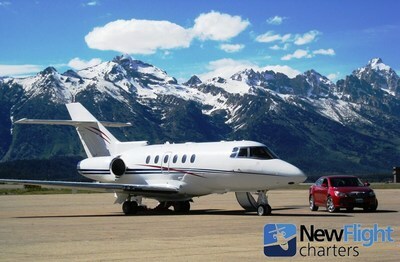 Headquartered in Jackson Hole is New Flight Charters, a leader in nationwide private jet charter which arranges around 1,400 custom private jet flights per year. 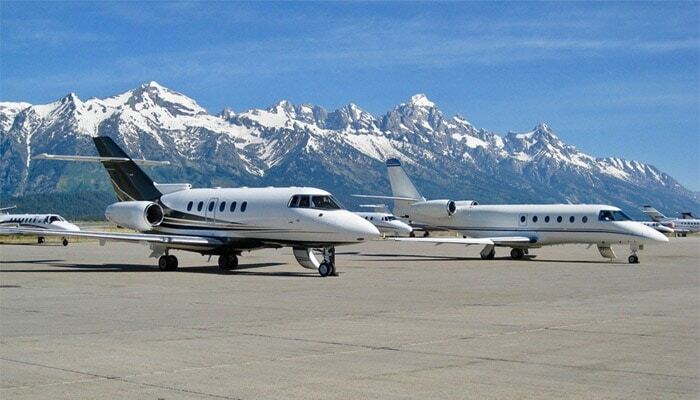 The company monitors jet charter activity to and from Jackson Hole and is reporting up to ten times the normal activity of private charter aircraft to and from Jackson Hole Airport during this time. “Right now, August 18 looks to be busier than a December 26 at the airport,” said New Flight Charters president Rick Colson. “We knew this would be busy but the numbers we are seeing are amazing.” The day after Christmas is normally the busiest day of the year for private jet arrivals, bringing winter vacationers to Jackson Hole and its world renown ski destination Jackson Hole Mountain Resort, the Four Seasons Resort and other high-end lodging. Commercial airline traffic will be increased as well, an additional 15 commercial flights will be landing and departing between August 18 and 23 ? three more per day than normal. The Jackson Hole Airport is already the busiest airport in Wyoming. The airport is planning for the eclipse. With its location along the precise centerline of the eclipse’s path of totality, access to the airport will be limited for both those on the ground and in the air to help manage crowds and traffic. The runway will be closed for 1 hour around the approximately 2-minute totality at 11:35am. The closure will be from 30 minutes before, to 30 minutes after the totality. And those driving to the airport that day will need their private aircraft’s tail number, an airline boarding pass, or a legitimate reason to access to the airport. About New Flight ChartersSince 2004 charter aircraft owner and leading U.S. private jet charter brokerage New Flight Charters has arranged private domestic and international flights with top-rated operator aircraft along with its Best Price Guarantee, top aircraft availability, industry empty legs list, and a perfect safety history. Extensive client reviews and industry ratings are available on the New Flight Charters website. As a registered U.S. government contractor with an A+ rating by the BBB, and named to the Inc. 500 fastest growing list four consecutive years, the jet charter company serves a wide variety of clientele including Fortune 500 companies, government heads of state, presidential campaigns, entertainment icons, private families and entrepreneurs. Be the first to comment on "Record Number of Private Jets to Descend into Jackson Hole for Eclipse"